People looking for shrubs near Chislehurst often visit our garden centre and they never leave disappointed. With the variety of shrubs and trees in our four nurseries, you can find all the architecture, ground cover, fragrance, and year-round colour you want for your garden with shrubs. Architectural shrubs help give your garden its fundamental layout. You can use them to define the borders of various sections of your garden and also create room for other shrubs and plants in between. Among our popular architectural bushes near Chislehurst, Bloodgood, Contorta, Crimson Queen, and Orange Dream top the list. Evergreen shrubs have a lot to give your garden without asking for much in return. You can easily add them to the garden without even a thought about maintenance. They stay green all around the year and, if you smartly picked an evergreen flowering shrub near Chislehurst, you might get a low-maintenance flowering plant in your garden that blooms throughout the year. Our most popular evergreen shrubs near Chislehurst include Apple Blossom, Winter Gem, Cytisus Plant, Rubella, and Red Robin. Groundcover shrubs cover the ground and grow all around. They are perfect for quickly filling up empty patches in the garden or to create specific effect in certain sections around the plot. Our customers’ favourite groundcover shrubs near Chislehurst include Goldheart, Paloma Blanca, Blue Carpet, Repens Plant, and Emerald-n-Gold. Large shrubs come in many shapes, sizes, colours, and scents. If you are thinking about dedicating a part of your plot to shrubs, you will need a large shrub to be your centrepiece. They are especially great in big gardens where shrubs are given more freedom to grow. Some of the most beautiful large shrubs near Chislehurst include Bristol Ruby, Jury’s Yellow, Santana, Aureus, King Edward, and Woodbridge. On the other hand, small shrubs can become wonderful display pieces all around the house. You can set them in pretty containers on your patio, in your bedroom, and on the sides of your driveway. They are small and low-maintenance. Our popular small shrubs near Chislehurst include Silver Pink, Kobold, Juniperus Old Gold, Blondy, and Nuuk. Scented shrubs come with not only beautiful flowers but also wonderful fragrances. Quite a selection of these scented shrubs near Chislehurst is included in our displays at Thompson’s Plants Garden Centre, some of which are more popular than any other shrubs we have. These include Apple Blossom, Philadelphus Plant, Flowerfesta Pink, Ternata, and Buddleia Plant. With so many types of shrubs available, the wise gardener always plans their trip to the garden centre for their shrubs. 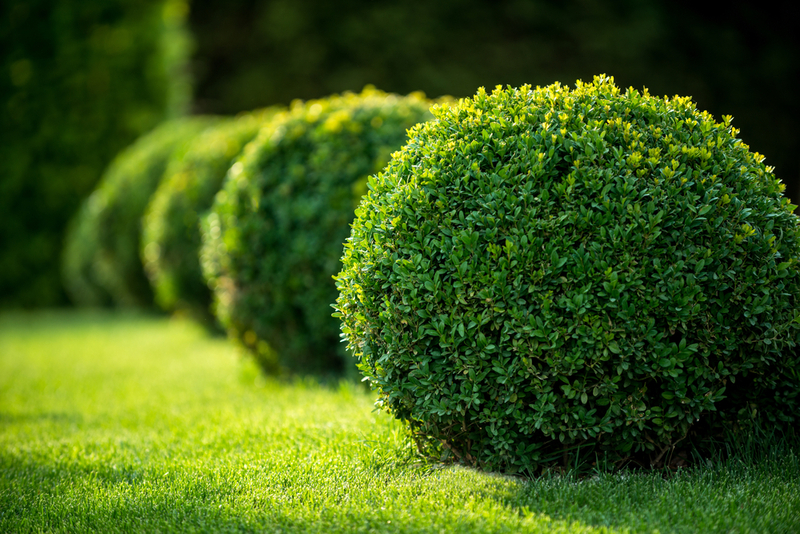 When you know exactly what you want to achieve with your shrubs, you will have a clear direction to follow in finding the shrubs that suit your garden best. If you are building a new garden, for example, you should begin with architectural shrubs to devise the layout of the garden. Similarly, for instance, if you are looking for something to take care of your unhealthy lawn, you must go for groundcover shrubs, and so on. Ultimately, your research will immensely help you get the right shrubs for your garden. However, if you arrive at our premises without research, there is still no need for you to worry about picking the right shrubs home because we will make sure you do. We have shrubs experts available in all our premises who you could talk to. Tell them your preferences and a bit about how your garden looks, and they will be able to help you find the perfect shrubs near Chislehurst without wasting your time. Visit us this week and get all your shrubs on attractive prices!